What does the I3U project hope to accomplish? 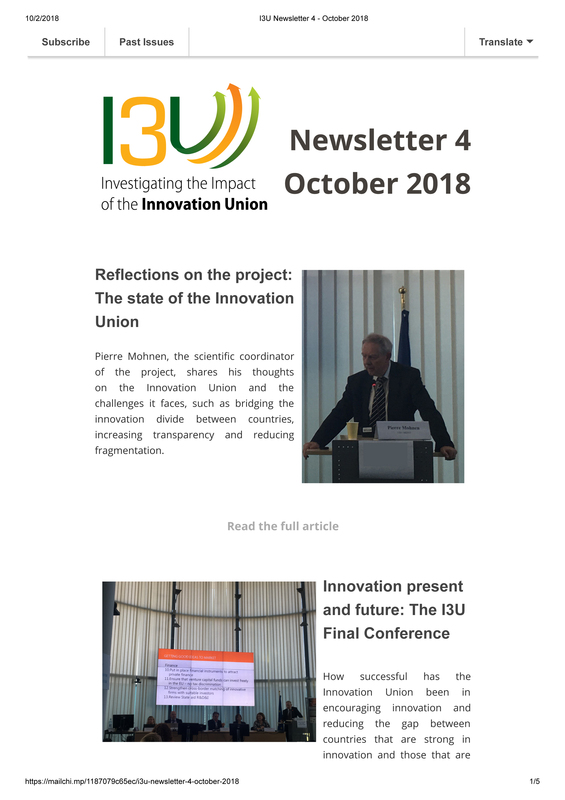 I3U's goal is to assess the impact of the Innovation Union, but what exactly do we mean by that? The Innovation Union was created to help Europe face seven major societal challenges: health and demographic changes; food security and sustainable agriculture; clean energy; smart, green and integrated transport; climate and the environment; inclusive, innovative and reflective societies; and protecting freedom and security. Measuring that reality: How is the Innovation Union doing? 6 What does the I3U project hope to accomplish? 9 Measuring that reality: How is the Innovation Union doing? Anic, I.D. “Facilitating Science – Industry Effective Collaborative Research: Literature Review”. Economic Trends and Economic Policy (Privredna kretanja i ekonomska politika) 26.140 (2017): 7-41. Czarnitzki, D. and Hünermund, P. (2018). 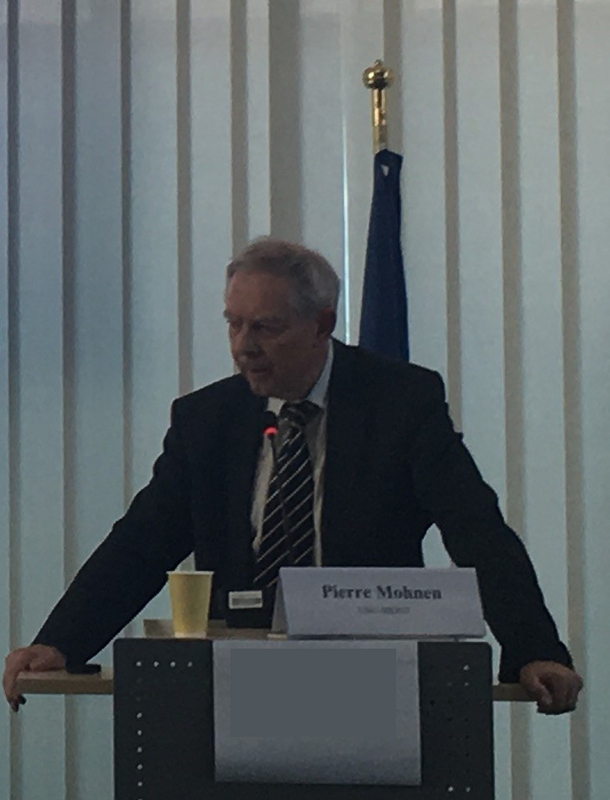 “Public Procurement Can Speed up Innovation“. ZEW news March/April 2018. Jokic, M., Mervar, A., and Mateljan, S. “Scientiﬁc potential of European fully open access journals”. Scientometrics 114.3 (2018): 1373-1394. Kowalski, A. 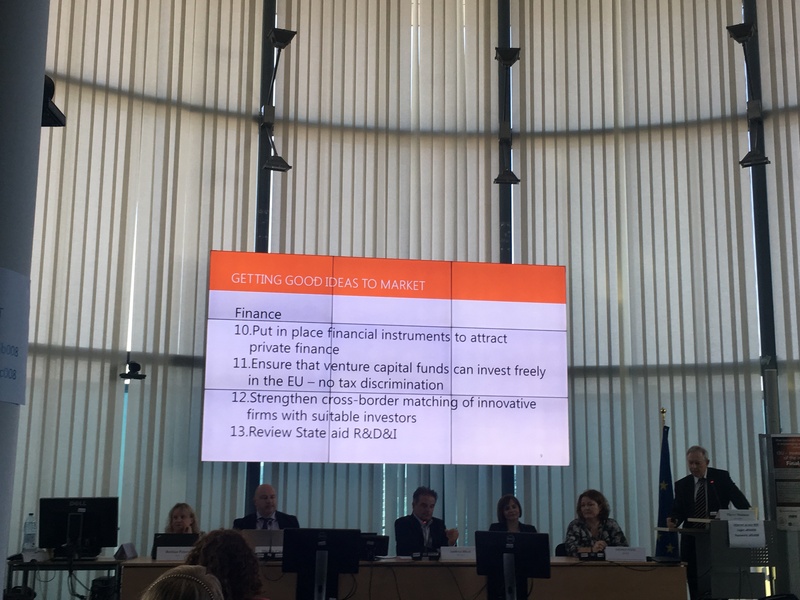 “Increasing European Innovation Potential through Common Investments in Priority Research Infrastructures”. World Economy Research Institute (WERI) Working Papers. Warsaw: World Economy Research Institute (WERI), Warsaw School of Economics, 2016. 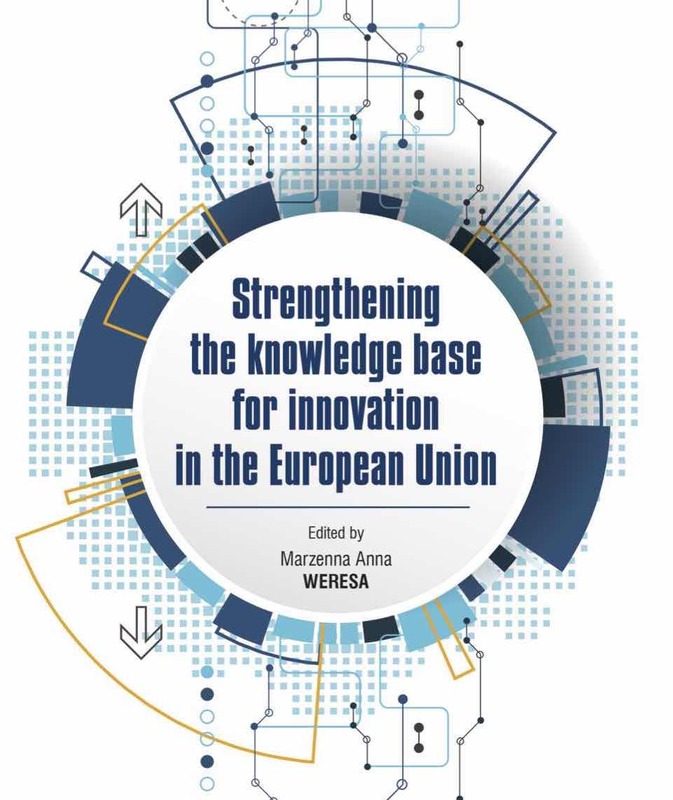 Weresa, M. “The Role of Scientific Advice in Innovation Policy Making”. Ekonomista 5 (2017): 569-581.